We all have pressures of daily life and constant problems, deadlines and never-ending responsibilities to attend to. This is a part of life. Sometimes the problems seem insurmountable and cause mental anguish. One way to lessen the constant mental strain associated with this is to think of the fact that nearly all problems can be resolved. How can this be? It is said that all problems are at one time small. Best to handle the problem while it is small and before it becomes large and hard to manage. Think of a yard of weeds. When you see the yard, you think it is overwhelming. But at one time, the yard just had one weed, and if picked, the problem could have been easily taken care of. The moral of the story is: Try to resolve problems while they are small. This keeps them manageable and easy to tackle. If this takes prevention or maintenance, then so be it. For healthcare, this may entail exercise, diet and mental relaxation. Acupuncture and Chinese Medicine can help in this respect. 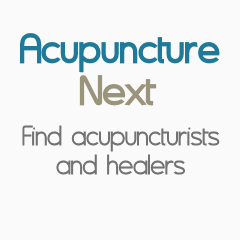 Contact our office, Acupuncture Healthcare Specialists if you have any questions on how we can help you keep your health problems small. Thank you.